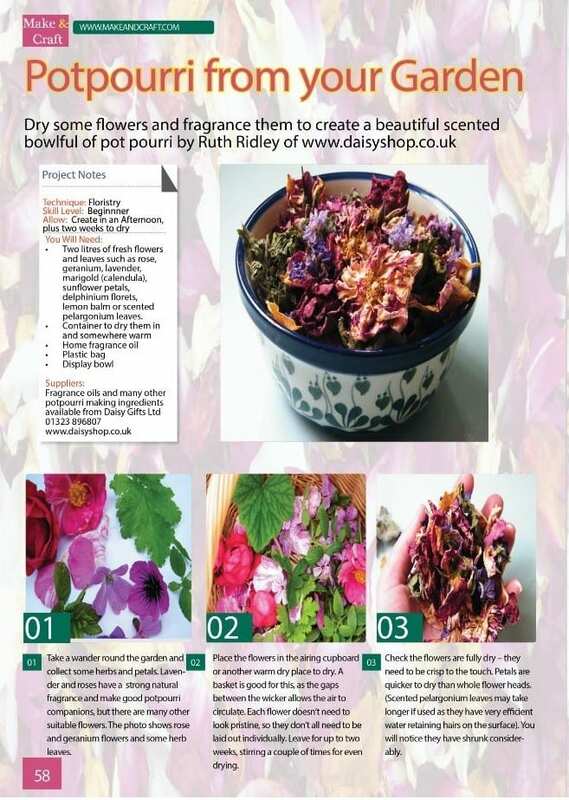 This month I am very pleased to have another article about dried flowers published in Make and Craft magazine. This one is about picking flowers from your garden to dry and make potpourri. They have published a little early, as the two main flowers used were roses and geraniums, which are not quite in flower yet – but as this was the May edition I can’t complain too much! Here is a copy of the article – for the hi-res version, purchase via www.makeandcraft.com – they have magazines in print and digital formats. The theme for this edition (Issue 7) is all things floral. What I like about this article is that anyone who has a garden probably has flowers they can dry – it only takes a drop or two of inexpensive fragrance oil to make them into potpourri. 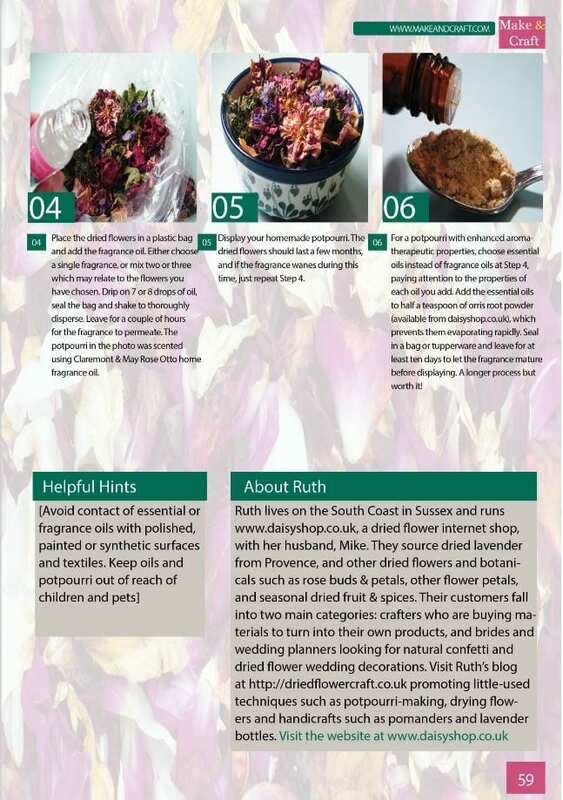 Or, if you have a wedding coming up, why not follow as far as step 3 for pretty homemade confetti. Here is the most recent article published in Make and Craft magazine. There is another article in the pipeline about the versatility of modern dried flowers.